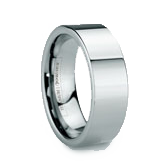 One of the best ways to personalize tungsten wedding bands is by adding a personal message, name or date to the interior of the band through engraving. With the myriad of styles available for tungsten carbide wedding bands, couples are using engravings more and more as a way to differentiate their rings as a one-of-a-kind pair. 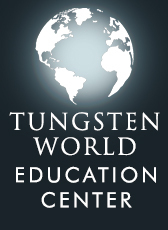 So the question is, can you engrave tungsten? 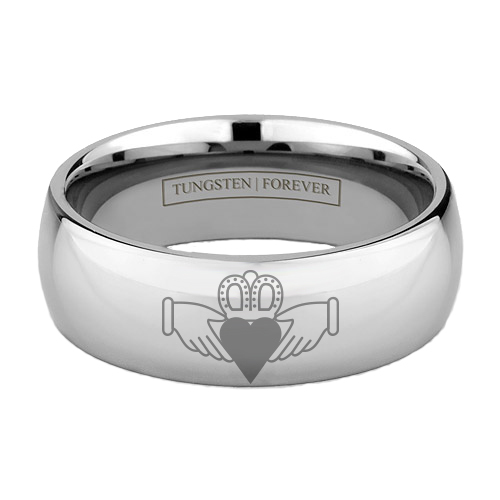 Or can you engrave on tungsten? 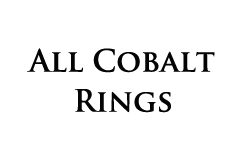 Traditional methods of engraving entail “chiseling” or “etching” into the material of the ring to add the requested text directly into the metal. And while this is easily done on softer, traditional metals like gold, silver and platinum, tungsten is over ten times the hardness of 18k gold! As a result, many prospective women’s and men’s tungsten wedding bands shoppers have been unclear as to whether or not tungsten carbide can be engraved. Well, the short answer is: yes. 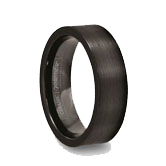 Yes, tungsten carbide wedding bands can be engraved and you can make custom engraved tungsten rings. 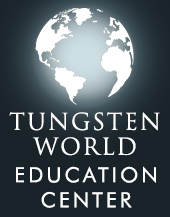 However, tungsten engravings are slightly different than methods of the past. 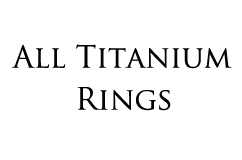 The difficulty in engraving, or more accurately etching, into tungsten carbide wedding bands arises from the hardness of the material. That same hardness that makes your tungsten wedding band the most scratch resistant wedding band in the world can also damage traditional engraving tools. So instead, a laser is used. Laser engraving is both smooth to the touch and as permanent as any etching, without the added disadvantage of getting dirt and grim embedded into the message. 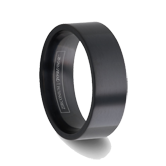 By using the laser to burn the tungsten carbide, bringing carbon to the surface, a variety of messages, symbols and designs can be added to any tungsten carbide wedding bands for men or any tungsten ring in general. 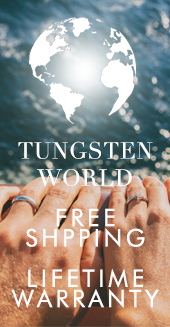 This futuristic procedure is the only method strong enough to mark a material with the durability and resilience of tungsten wedding bands, and can be added to your Tungsten Forever women’s or men’s tungsten wedding rings today! 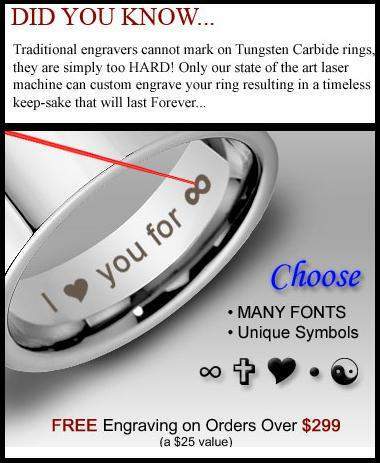 With the variety of fonts and symbols available, add a message you’ll know he’ll have close each and everyday he puts on his tungsten wedding band.